The nose really does know, at least according a recent study conducted by researchers at the Rockefeller University in New York. The human nose was previously thought to be able to recognize some 10,000 different smells, a figure apparently derived from an unsupported 1927 study. But scientists have long been skeptical of that number, and the university’s Andreas Keller decided to put it to the test. He gave a group of volunteers three vials containing 10, 20 or 30 of 128 various odor molecules; two of the vials were identical, one was the outlier. The volunteers’ task was to put their beezer in it and identify the odd smell out, a task they repeated 260 times with different combinations. The result—dispensing with a lot of complicated math—was that, on average, the proboscis can discern at least one trillion different smells. That’s a lot more than 10,000. 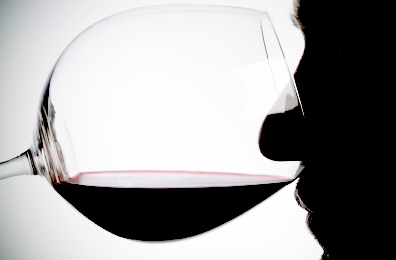 For wine drinkers, whether casual guzzler or professional taster, that just reinforces the importance of training your honker to recognize the subtle (and not so subtle) aromas of wine. The palate, by comparison, is a blunt instrument, capable only of recognizing five basic flavors—sweet, sour, salty, bitter and umami.